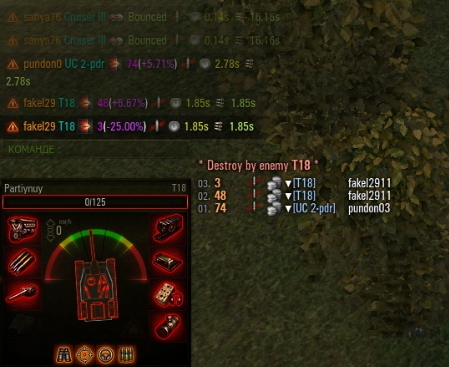 Damage Panel says how many time enemy tank will loading? i can’t see my Hitlog…. The tank type icons do not show…anyone has an idea how to fix this? It worked fine in 0.8.11 and 0.9.0! It works just fine in 9.1, also!!! ANY UPDATE FOR 9.2 PLS..I LOVE THIS MODE!!!! Its best hitlog showing a lot of info. Pls update this mod to 9.2! One more thing- how to change language? When i installed this mod last time (9.1) every words eg: enemy reloaded, no damage were in english. Now its different language which i dont understand. Anything on the 9.3 version??? It works also, in 0.9.3! It works on my system, my friend! I also use a “safe shot” mod and someone must be careful in res_mods folder installation. SPREAD THE LOVE PEOPLE !!! !